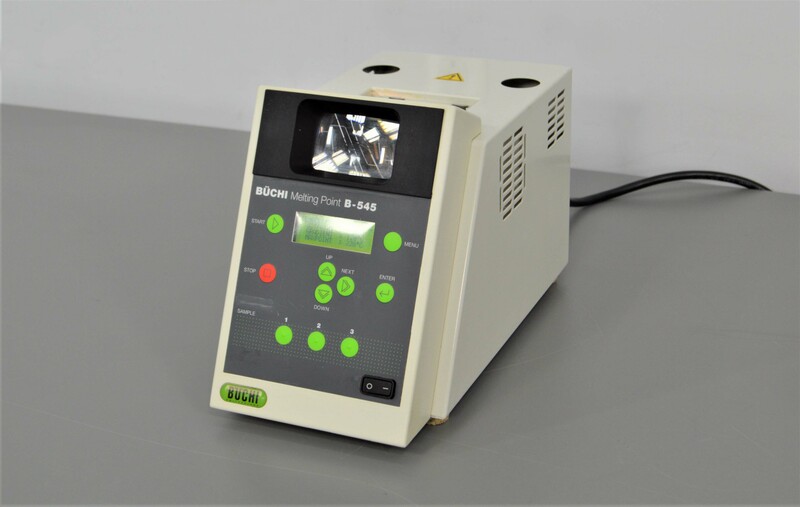 Buchi B-545 Melting Point & Boiling Point Manual Determination Sample Processing . New Life Scientific, Inc. This Buchi B-545 Melting Point has been tested to 228°C, running a complete cycle and going through the whole program without fault. The magnifying glass and lights are functional, allowing for easy visual monitoring and sample determination. This B-545 Melting Point is in great physical condition, but does not come with a ceramic block, cover, or tubes so it would do well as a replacement instrument. Our in-house technician inspected and tested this Buchi B-545 Melting Point, confirming it to be in good working condition. This Buchi B-545 Melting Point quickly heated to 228°C without fault.